"Jason Shawn Alexander has always been one of the most original artists in comics, but with Empty Zone, he shows he's one of our most unique writers, too. What a gorgeous book." Bestselling artist Jason Shawn Alexander (Abe Sapien: The Drowning, The Escapists) returns to the drawing and writing table with an all-new series sure to disturb readers in EMPTY ZONE: Conversations with the Dead, which will launch from Image Comics on June 17. In this sci-fi horror saga, Corinne White attempts to reconcile with the ghosts of her violent past, literally, as she trudges through a world of dystopian cityscapes, reanimated corpses, & ganglands full of animal human hybrids. 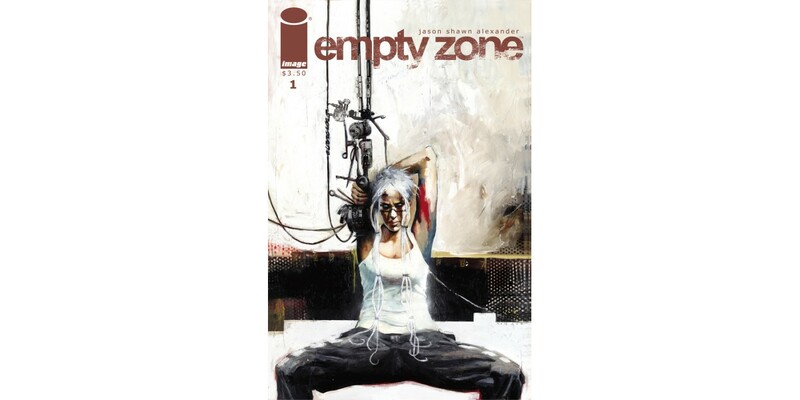 EMPTY ZONE #1 arrives on June 17 and can be ordered with Diamond Code APR150504.